It is amazing. If I stop to pay attention to the delicate, curious and imaginative life of my children, I can actually learn from them. And to top it off, it’s biblical. There is this wonderful verse about children in the book of Matthew where Jesus talks about the humility of children and that we need to be like that. It is a cute verse, that sounds good, seems good, and fits good with loving kids and stuff. When I read that text I get the good feelings inside about learning from my kids then continue on with my day to day activities. It is easy to feel good about verses that say love our children. However, ‘oodling’ over the verse is not the call Jesus is making here. It is a deep call to humility with the most vulnerable of our society. Yet, as a parent, there are definitely moments while languishing in deep frustration wherein the last thing I want to think about is that the little minion causing so much grief is actually someone from whom I can actually learn something. But then it simply hit me during one of my eldest son’s soccer practices. The kids were on the grass playing soccer, listening intently to the coach. All was well and good until the sound of a monstrous airplane thundered above the soccer pitch, and in unison, in the middle of a soccer practice, all 10 kids looked up and with the vigor of a children’s choir, and pointing emphatically in the air, they all let out a giant ‘Woah.’ The air show was in town. The airplanes didn’t stop. It was the worst soccer practice ever. Kids were hardly looking at their feet, or listening to their coach. They could not help but be in complete wonderment. The pure excitement on my son’s face was humbling as I found myself asking, what is it like to be in pure wonderment? A few months later I had the privilege of taking my oldest son on an airplane ride to visit family in Winnipeg, Manitoba, Canada. 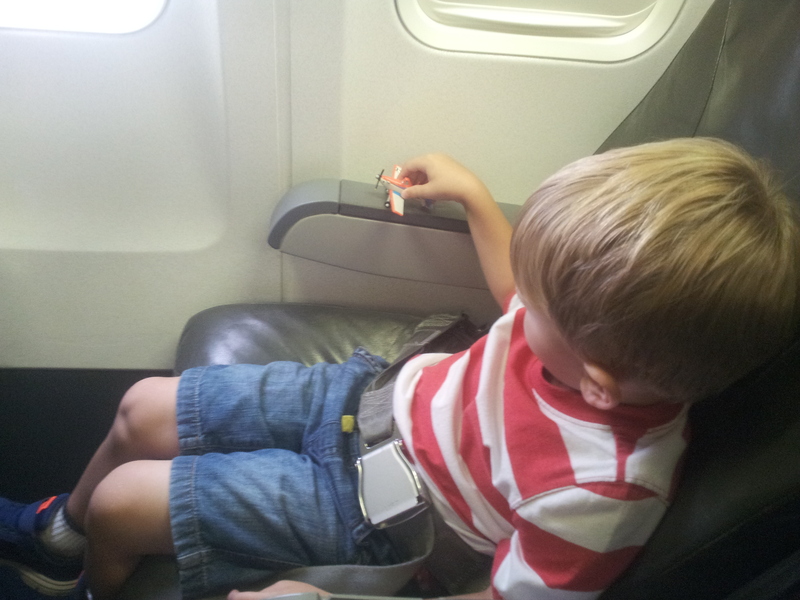 The entire time we traveled my son was barraging me with questions. It was like a snowball effect, the questions just kept gaining momentum. But then it hit me after being exhausted trying to answer my son’s questions. It was as if every single question he asked opened up new possibilities of what the world around him was like. He had no idea. His 3-and-a-half-year-old mind was working overtime poking and prodding at the reality around him through these questions. It got me thinking that maybe I don’t ask as many questions as I should. I began to wonder if I had been riding the status quo for too long without any sense of curiosity. Funny enough. All this learning, all this new understanding, stems from a moment in time when I dared trudge into the vulnerability that humility requires. A vulnerability that children embody day after day. It took ten 3-5 year-olds staring in absolute wonderment to bring me to that place. An unlikely lesson learned on a very normal soccer playing afternoon. Be blessed as you dare to venture into humility. Be blessed as you see the world from your children’s perspective. For me, humility was found in acknowledging that I can indeed learn a great deal from my children. Tags: children, humility, Jesus, learn, wonder. Bookmark the permalink.